Kuala Lumpur (VNA) – Vietnamese athletes won three more gold medals in fencing, athletics and karate in the afternoon of August 23 at the on-going SEA Games 29 in Kuala Lumpur, Malaysia. 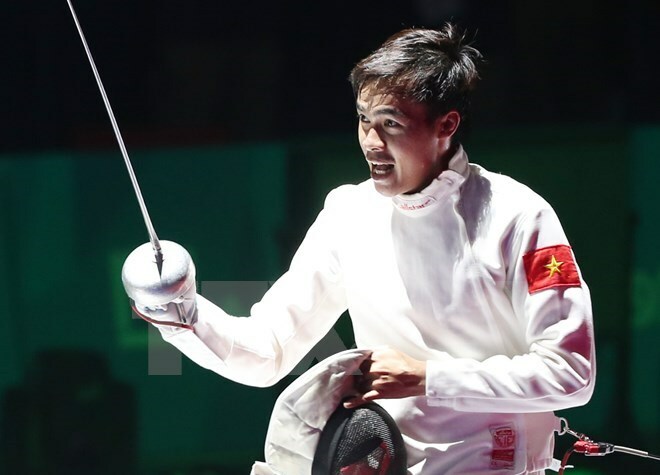 Fencer Nguyen Tien Nhat defeated Thai rival Chamcharern Panthewit 12 – 7 to top the men's epee individual event, obtaining the 6th gold medal of the day for the Vietnamese team. The 7th gold medal was seized by runner Vu Thi Men in the women's triple jump event with 14.15 metres, and the 8th belonged to karate artist Ho Thi Thu Hien in the women's below-68kg kumite event after Hien beat her Thai opponent Kanokwan Kwangwong 2 – 0.